Postoperative hypothermia remains a clinical problem in neonates undergoing surgery. Intraoperative analgesia can blunt the metabolic and hormonal response to operative stress in neonates. However, its effects on heat production and thermoregulation are not known. 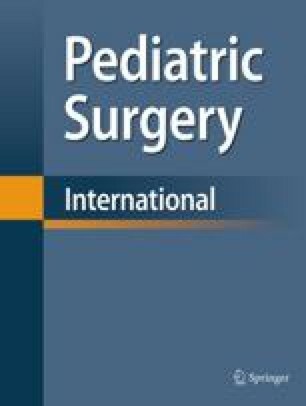 The aim of this review was to characterise the effects of intraoperative analgesia on body temperature in neonates undergoing surgery. The case notes of 25 consecutive neonates who underwent major operations were retrospectively reviewed. Axillary temperature was measured before the operation, and postoperatively after returning to the neonatal intensive care unit (NICU). Patients were divided into groups based on the intraoperative analgesic used: (1) 9 neonates received fentanyl; (2) 5 received morphine; and (3) 11 received epidural bupivacaine. All groups were comparable in terms of conceptional age, postnatal age, body weight, duration of operation, and operative stress score. In all groups the body temperature was significantly lower at the time of returning to the NICU than preoperatively. Three patients (33%) who received fentanyl became hypothermic during the operation, whereas none of those who received either morphine or bupivacaine had hypothermia. The drop in temperature between preoperative and initial postoperative values was significantly greater in patients who received fentanyl intraoperatively (median drop 0.8 °C, range 0.6 – 2.4) when compared with patients who received morphine (P= 0.02) or epidural bupivacaine (P= 0.01). These data suggest that intraoperative fentanyl modulates the postoperative body temperature in neonates. We hypothesise that fentanyl blocks metabolic heat production, which results in a reduction in postoperative body temperature.